Videos come in multiple formats and occasionally you may want a video in a different format instead of its original format. There are plenty of video converting services that let you convert videos from one format to another. Keepvid video converter is a leading video converting service that is used by over hundred million users around the world. It is really simple to convert videos with KeepVid. All you have to do is visit KeepVid website. First of all, select the file and the file type that you want to convert then choose the output format and finally click on “Convert Now” Option. KeepVid video converter is a lot faster than other video converting services and it provides multiple options to convert videos. 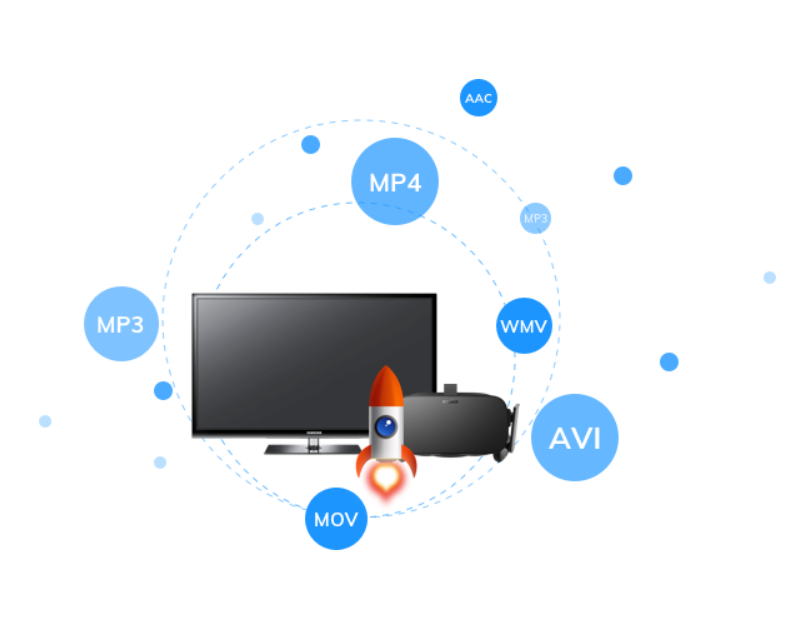 With Keepvid video converter, you can convert any local video to MP4/ MOV/ MKV/ AVI . In addition to converting, you can edit videos with the tool as well. To convert any video to MP4, you can use the MP4 Converter. Also, to convert an MP4 file to MOV, you can use the MP4 to MOV converter. In comparison to other video converter, its converting speed is 30 times faster. It offers a lot of amazing features and is very simple to use. In this post, we will have a look at its features and other aspects. As we stated above, KeepVid video converter comes with a number of amazing features. Below are the major and most noticeable features of this application. The tool supports all types of video formats and quality including HD, 1080p, 4K and even 8K. It doesn’t matter what video quality is it that you want to edit. With Keepvid, you can edit almost any video you want. Unlike other video converting services, Keepvid is compatible with all the popular latest video types such as VR, 3D and more. The tool provides multiple modes to convert videos. The modes include Single Mode, Batch Mode and Merge Mode. Not only does it let you convert videos into other video and from youtube to mp3 but also it lets you compress any video you want. It is an all in one MP3 converter, MP4 converter, AVI converter, MOV converter and can be used to convert DVDs. The tool is extremely easy to use and it comes with a very simple user interface. You can learn to use the tool with in just a few seconds. You can perform different small functions with the tool as well such as trimming a video, adding subtitles, cropping a video and so on. You won’t need a separate tool for performing different functions and you can do almost everything related to video editing with KeepVid. So these were the major and most noticeable features of KeepVid youtube converter. As you can see the app comes with a number of great features and you shouldn’t miss out on this tool if you are looking for a good video editing service..
Why use KeepVid Online Video Converter? If you are still wondering why you should use keepvid video converter, then we must remind you that not all video converters offer such amazing functionality and user experience. The service is extremely affordable and will get the job done without a doubt. It is one of the few premium video converting services that offer a free trial period. You don’t need to install any additional software to convert videos and all you need to do is go to the website and convert any video that you want. KeepVid online video converter supports almost all web browsers such as Chrome, Safari, and Firefox. Is it to legal to use KeepVid online video converter? If you are wondering whether it is legal to use Keepvid free video converter then we have got good news for you. We love to break it to you that it is completely legal and safe to use Keepvid online video converter. You can use the website to convert your favourite videos without any sort of doubts or hesitation. Overall, KeepVid online video converter is the best video and mp3 converter. You can download the software here. If you are looking for a good video converting service then you must try KeepVid.